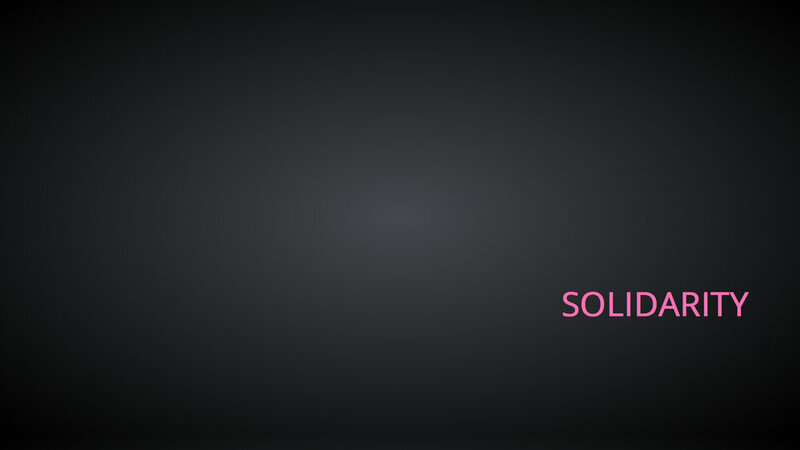 A work of net art animated in the style of the bouncing DVD logo, "SOLIDARITY" floats endlessly around the screen, changing color each time the text hits the edge of the frame. The palette is sourced from the original eight-stripe Rainbow flag designed by Gilbert Baker in 1978 and the 1999 Transgender Pride Flag created by Monica Helms. © 2013-2019 Simone and Max. All rights reserved.